"So far, it has been generally assumed that additional properties such as spin and polarization do not have a non-trivial impact on interference. We decided to study the topic in more depth, and we were surprised by the results we obtained," says Prof. Konrad Banaszek (FUW). The experiments by physicists from the University of Warsaw and the Gdańsk University of Technology started by generating heralded photons. "The name sounds complicated, but the idea is simple in itself," according to Prof. Czeslaw Radzewicz (FUW). "We generate photons using a process in which they must be created in pairs. When we register one photon, we can be certain that the second was also born, and we know its properties such as direction or wavelength without destroying it. In other words, we use one photon to herald the generation of the second photon." 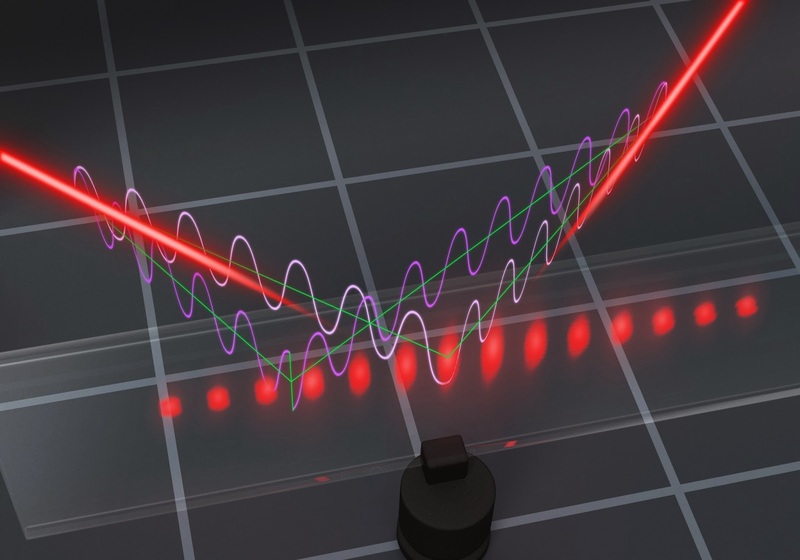 "It turned out that we were able to use measurements of interference fringes to determine how much information had leaked during transmission of the photon through the interferometer. In other words, we could be certain whether any eavesdropping had taken place during transmission," says Dr Michal Karpinski (University of Warsaw, currently University of Oxford), responsible for building the experimental system and conducting the measurements. "It is almost as though the quality of a courier delivery – for example, whether a glass vase delivered inside a securely packed parcel is still in one piece – depends on whether the vase is green or red. In our world the color has no bearing on whether the vase arrives intact or not. However, the condition of the parcels our 'quantum courier' delivers does indeed depend on internal properties that seem to have nothing to do with interference," according to Prof. Pawel Horodecki (PG).